November 9, 2018 5:25 pm. Hugh Bowman is appealing the severity of a ban out of his ride on Melb Cup runner-up Marmelo (r). 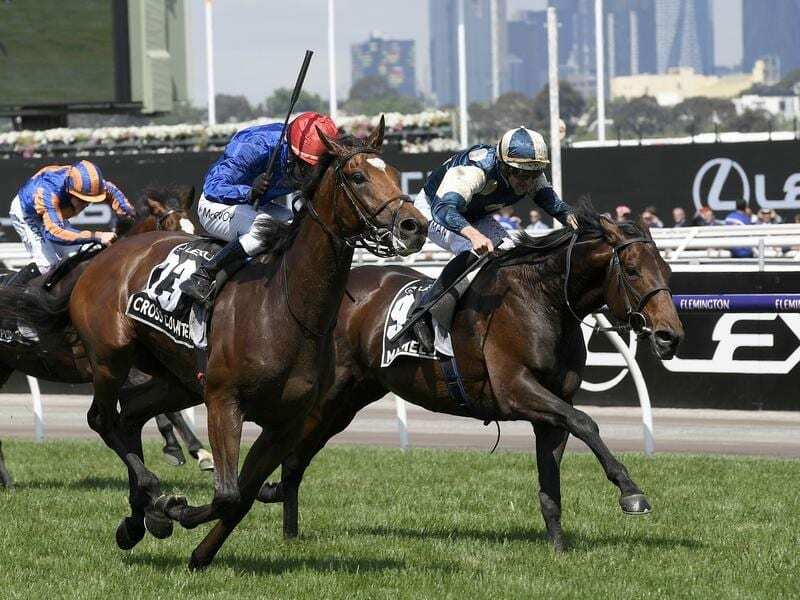 Bowman was charged with careless riding at the 500m mark of Tuesday’s Cup as well as using the whip seven times more than allowed before the 100m mark of the 3200m-race at Flemington. To avoid making the champion jockey’s suspension “manifestly excessive”, stewards ruled a one calendar month penalty of 35 meetings was appropriate and it concludes on December 8. Bowman’s appeal against the severity of the penalty will be heard in Melbourne on Tuesday. Bowman’s suspension began on Friday and he has not asked for a stay of proceedings. He had been due to ride Manikato Stakes winner Brave Smash in Saturday’s Group One VRC Sprint Classic and Irish Derby winner Latrobe in the Group One Mackinnon Stakes.